The Health Benefits Of Litsea Cubeba Essential Oil: Get Lit! Home | Essential Oils | The Health Benefits Of Litsea Cubeba Essential Oil: Get Lit! Until recently, I had practically no experience with or knowledge of Litsea Cubeba or its essential oil. It was only when a friend used the seed of the tree in a cooking dish that I actually encountered it for the first time. The only way I can describe the taste (and the smell) of the fruit is a blend between spicy citrus and a strong after-smell akin to cinnamon. I was pretty fascinated by the discovery of this new spice and started looking into it.Since then, I’ve practically fallen in love with the oil of Litsea Cubeba – which I now know is also referred to as May Chang. It has a really delightful and floral odor and is incredibly useful for a variety of reasons which I’ll be explaining to you in the following article. 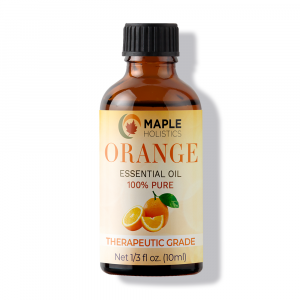 I think the added benefit of stumbling upon this amazing stuff almost by pure chance really enticed my love for this oil in particular, but in all honesty it’s a really great essential oil due to its sheer versatility. 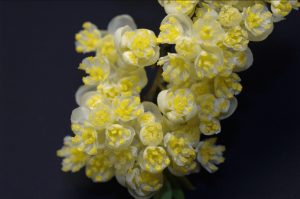 What Is Litsea Cubeba Essential Oil? Litsea Cubeba, or ‘May Chang,’ is a tree that is native to the Southern region of China, as well as the tropical areas of Southeast Asia such as Indonesia and Taiwan, but varieties of the plant have also been found as far as Australia and South Africa. The tree is very popular in these areas and has been utilized for a variety of reasons for hundreds of years. Litsea Cubeba produces a small, pepper-like fruit which is also the source of its essential oil, along with the leaves, roots and flowers. There are two ways in which the oil is extracted from the plant, which I will explain below, but always important for you to inquire as to how the oil you’re interested in was made (as is the case with most natural products) in order to make sure that it’s the right stuff for you. The first method of production is the most popular one for most essential oil production, and that’s steam distillation. In this method, the crushed organic elements of the plant are placed in a glass chamber. Water is then heated in a separate chamber to produce steam. The steam then passes through a glass tube and fills up the chamber with the organic matter. The essential nutrients and potent phytochemicals contained in the Litsea fruit and leaves are extracted through evaporation and then pass into another chamber. In this final chamber, the vapor collects and cools, to form droplets. The droplets gather at the base of the chamber and this is essentially what makes up the base of the essential oil. This method produces the purest grade of oil, free of any impurities and safe for ingestion (in regulated doses of course). The other method of extraction is a chemical process whereby particular hydrocarbon solvents (such as benzene, or in some cases a natural solvent can be used such as the extracted citral from lemongrass) are added to a batch of crushed/pressed plant material. The plant material is left to soak in the chemical broth, and it is this soaking that removes the oil from the organic matter. The solvent sets into a gelatin-like substance, with the oil locked inside. Pure alcohol is then used to separate the oil from the organic matter and gelatin substance. Once the alcohol evaporates, the oil is what is left behind. This method is popular because it is generally cheap and allows for oil production on a large, industrial scale. 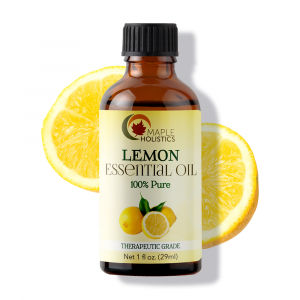 However, I would generally advise using oil made through this method to only be used in cleaning products around your house, or at best – as a topical treatment. As a rule of thumb, if you haven’t been able to acquire essential oil made through the steam distillation process, I’d recommend heating your oil and then restoring it in order to remove any impurities that may still remain in the oil from its production. 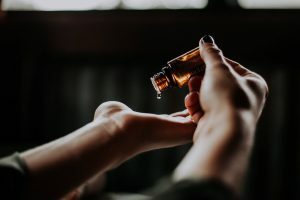 The whole point of making use of essential oils for their healing benefits is because they’re generally considered a pure, natural alternative to the harmful chemical treatments that we’re swamped within our day to day lives. So ensuring the oil you have is of the highest grade, make sure you’re using a credible source and take precautions if you’re new to natural products. If you’re getting your essential oil from a reliable and credible source, you should be fine. Litsea cubeba essential oil scent. As I mentioned earlier, Litsea Cubeba oil has a smell that is very citrusy – somewhere between Orange and Lemon, with hints of spicy, almost cinnamon-like pangs. 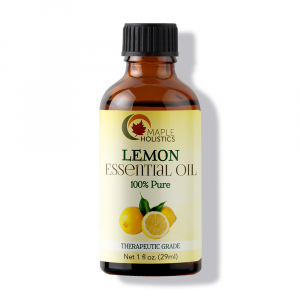 The taste is quite similar, and can be blended with a variety of other herbs or spices for culinary purposes, or essential oils such lemon, orange, sandalwood or cedarwood. Litsea Oil can also be added to normal hair or skin care products to enhance their scents as well as add or enhance the antifungal and antibacterial qualities of the product. May Chang is also a great flavor for incense and is quite popular in aromatherapy. I recommend rolling your incense sticks in a bit of the oil and letting them dry before using them for a really pleasant odor, as well as burning the oil in a burner or using it in your diffuser to liven up your home. Litsea cubeba essential oil for infections. One of the main components of Litsea Cubeba essential oil is citral – which makes up roughly over 70% of the phytonutrient content of the oil. This, along with other natural alcohols and aldehydes give Litsea oil it’s strong antibacterial and antiseptic qualities that make it suitable for treating external and internal infections. I read a very interesting report (edited by one Yiguo Hong) on an experiment that was carried out to test the effects that Litsea essential oil had on E.Coli cells. The results are quite astounding. When analysed, the scientists found that by treating the E.Coli cells Litsea oil, cell growth was lagged (slowed) for roughly 12 hours. On top of that, they also noticed that most of the cells exposed to the Litsea oil died or were heavily damaged during the first 2 hours of the experiment. They noted that Litsea oil could have massive properties as a natural agent not only for use in aromatherapy and natural medicine, but even as a micro-bacterial agent. So in terms of treating internal infections – it’s a pretty handy tool to have. It’s effective in treating external infections that occur on or around an open wound, as well as fungal issues like athlete’s foot. I would recommend blending Litsea oil with eucalyptus oil or orange oil for maximum effect with topical application. Litsea oil absorbs into the skin quite easily and won’t leave an oily layer on top of your skin. Litsea cubeba essential oil benefits for skin. Litsea oil is great for skin for a number of reasons. I’ve found that when applying it to my skin, it doesn’t leave a sticky or oily layer behind. It absorbs easily (as I mentioned before) and has strong antibacterial qualities. This makes it ideal for removing and reducing the risk of harmful free-radical agents that we come into contact with throughout the course of the day and are caused by air pollutants, fatty foods or possibly even medication we might be taking. These cause minor chemical reactions on the surface of your skin which damage skin cells and prevent them from healing damaged tissue. This can also speed up the aging process. Litsea oil also contains a large percentage of natural alcohols which, in small amounts, can be effective in removing any excess sebum oil that commonly occurs in skin types that are considered oily already. This oil can clog up your pores, along with dead skin cells caused by exposure to the free radical agents on your skin and can cause infections and blemishes or worsen acne. Acne really is a very annoying affliction and can really have a negative effect on your self-image and personal confidence. 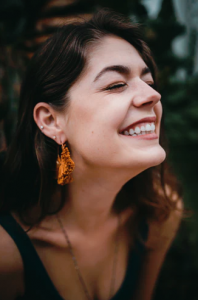 Don’t let it hold you back from living your life though – most of us have experienced acne or blemishes at some point of our lives, so we all know that feeling of being too afraid of going outside because of a big sore on your nose or something like that. I suggest immediate and repeated treatment with a variety of natural products to help lessens the effects and clear up your blemishes in short time. I recommend a face scrub that is all natural and has worked for me on a day to day basis. Having an oily skin type myself, I understand the woes of treating skin like this. The best advice I can give is to wash your face regularly (twice a day) with a scrub and conditioner. For a natural facial scrub, simply add 1 ½ tablespoons of sugar to a mixture of 10 drops Litsea oil, 10 drops of Orange/Lemon oil and a tablespoon of Shea Butter or Argan Oil. Mix the ingredients until you have a paste-like matter (add sugar or Shea Butter/Argan oil as needed to thicken the mixture). Gently scrub your face with the mixture and wash it off with warm water. You can apply either the Litsea or Orange oil after the scrub as a natural conditioner (use a cotton swab). You can leave this to set in or rinse your face again with warm water – it’s up to you. This should work pretty well though – I’ve been using this method for a while and have been quite happy. It’s cheap, natural and very effective! Litsea cubeba essential oil for digestion. Litsea oil has been used for hundreds of years in ancient Chinese and Indian healthcare to treat digestive-related issues. The acidic quality of the oil helps to stimulate a reaction in your digestive system that allows you to digest food faster and can be used to ease flatulence by preventing the formation of gasses in your intestines. The oil also works well as an appetite enhancer and can help you gain weight (if you’re trying to build muscle mass) or to help those affected by naturally weak appetites etc. The oil can be ingested (although in small amounts) or applied topically to your belly to help the digestive process. For many people, lung cancer is more than just a frightening picture or statistic on the back of a cigarette box. Approximately 1.4 million people in fact. That’s just the people who succumb to the disease. This statistic contributes to a major part of cancer deaths overall. When you think of essential oils combating cancer, it’s hard to imagine it competing with the likes of more “powerful” treatment methods like chemo for example. Litsea Cubeba Essential Oil has proven to in fact have won that competition. 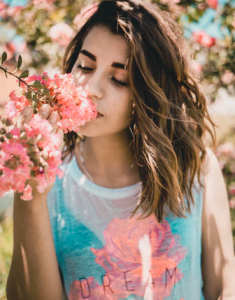 According to a recent earthshattering study, the essential oil in vapor form was successful at destroying cancer cells of the non-small cell lung carcinoma, which is a prevalent form of lung cancer (like 87% prevalent). In addition to destroying the cells, it was also found that it even stopped the cells from regenerating! The best part of this is that the healthy cells were not found to be adversely affected at all. In general, Litsea oil is mass-manufactured almost primarily for use in the perfume and cosmetics industry – including for soaps and other beauty products. The oil has naturally strong antibacterial and antiseptic qualities that make it ideal for cleaning products such a soaps or shampoos. On top of that, it also has a lovely citrus-smell that is sweet, uplifting and blends well with other essential oils and lasts for a long time – meaning that your bar of soap won’t lose its scent after a few uses. 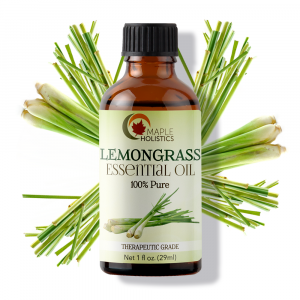 Read up on Ylang Ylang, Spikenard and Rosemary Essential Oil while you’re here at Maple Holistics! So, like I said – I encountered Litsea (or rather it’s fruit) by pure chance and have really taken to it. 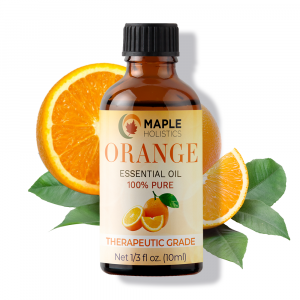 A lot of people seem to rate this quite highly on their list of essential oils largely because it has such a pleasant smell and so many uses. I think we all love knowing that once we’ve purchased something, it works well and doesn’t give any hassles.